April is here! 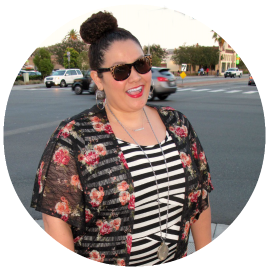 I was sitting here planning the Easter extravaganza for this year with my kiddo, and it occurred to me that with as many spring colors that come out each year, I should focus a little attention on a few nail art ideas to celebrate this glorious day! My daughter of course spouted out the idea of painting eggs, and my wheels started spinning. I decided to roll with it and create a few “eggs”travagant ideas. I started with a base coat (Jordana Extra Garlic Basecoat) and painted all my nails a solid color. I wanted something with a little shimmer in it that didn't look too sparkly. 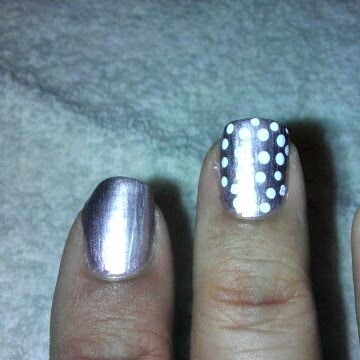 I used Fasville USA “Pinkle” with vitamin hardener. 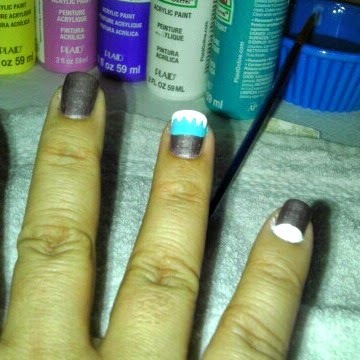 Once I applied the two coats and allowed them to dry thoroughly, I pulled out the 5 spring colors that I wanted to use. I contemplated on using nail polish, but decided against it. Once I decided on the type of designs I wanted to create for my fingers, I used acrylic paints to create the looks. Now a good way to look at Easter inspired nails is to remember back when you were a kiddo and your parents would allow you to paint your eggs with various colors to get the look you wanted. You know your first egg would always be a solid color, and the rest after that would just take a life all their own, mixing and matching, experimenting with design ideas. That is something that I didn't really get to do as a kid, but as an adult with my kiddo we go all out with creative ways to paint our eggs! The same basic concept applies to your nails. You can do one design on all your nails, us the accent nail approach, or go wild and use multiple designs for all your nails. In my picture, I did a different design for each nail to show multiple ideas that came to me using the various colors I chose to use. In my previous blog, I mentioned the pros of working with acrylic paints for nail designs, and in this blog I show a pretty good example of it. With a paint brush and some imagination you can do any one of the designs and make them your own. I am a firm believer in working with acrylic paints, mainly because I am now more comfortable with design making, so I like to get a little more intricate at times when working with smaller details. The paint is a lot easier to work with when it comes to erasing mistakes. From what you can see in my designs, I went with the “egg” nail art theme. 1. The pinky is a 3 simple color tone egg (white, pink, & turquoise). 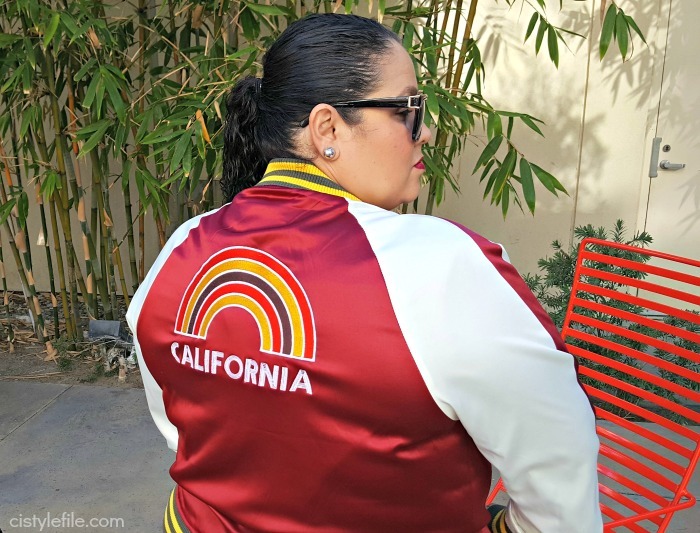 I began at with the white and worked my way up in a rainbow like manner. 2. The ring finger is the traditional multicolored egg (purple, yellow, pink, turquoise, and white). I began with purple at the base of the nail and worked my way up toward the traditional design. 3. The middle finger was pretty basic; it was the original base color “Pinkle” with white polka dots created with a simple dotting tool. 4. The index finger is the turquoise color with a few speckles of the original shimmer coloring coming through the bottom. This look is simple enough to create, just paint the acrylic color on the entire nail, allow to dry (a few seconds) and with a toothpick you can begin to draw whatever design you want to come through, in my example I just did little scratches to make the bottom color pop from below the nail to give it the appearance of a speckled egg. 5. 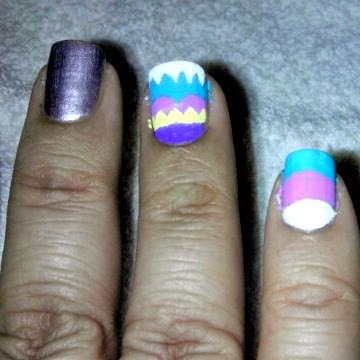 The thumb is a simple horizontal striping egg using 4 of the 5 colors (turquoise, pink, yellow, and purple). 6. Once you achieve the look you want on each nail, finish with a top coat to seal the design and it should last you a good little bit. Remember that if you do not seal the design with a top coat, the paint will eventually wash away from your finger nails. That concludes this Easter nail art tutorial in 6 easy steps. 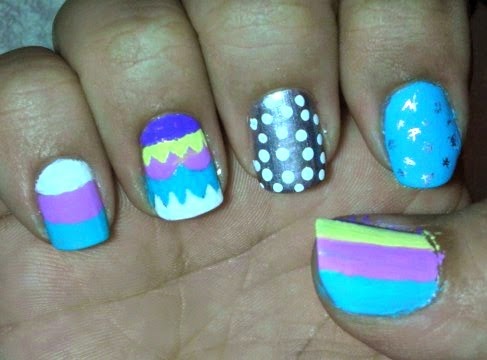 I hope you get some awesome ideas to show off on your nails for Easter! I’m always open to suggestions should anyone have something specific you may want to see! 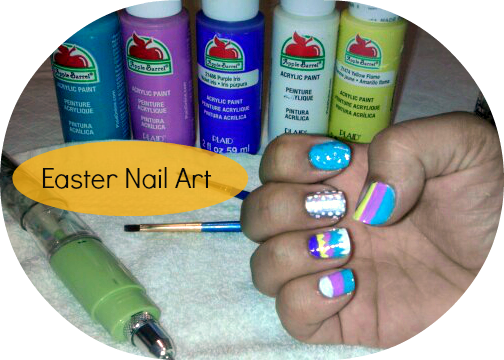 Thank you once again to Cid Style File for giving me the opportunity to “eggs”press my nail art! Until next time, keep them painted! Those are cute. And you can personalize each nail.